The United Nations (UN) bureaucracy in Nigeria is angry with the Army for sending soldiers to raid its Maiduguri office early yesterday. The property owned by a former governor of Borno State, the late Mala Kachalla, currently serves as a hostel for UN humanitarian aid personnel. 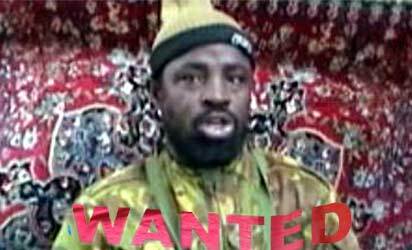 Within minutes of the raid, rumour spread across the country of the ‘arrest’ of Boko Haram leader, Ahmed Shekau. The rumour was later dismissed as UN’s Humanitarian Coordinator, Edward Kallon, called the raid unauthorized. He said:”At circa 0500 hours today (yesterday), members of the Nigerian security forces entered the UN base for humanitarian workers in Maiduguri without authorization. The security forces carried out a search of the tented camp and left the area at circa 0800 hours. “The United Nations does not have any information at this time regarding the reason or motivations for the unauthorized search. The Humanitarian Coordinator is working closely with the Government of Nigeria to resolve this issue. “The humanitarian crisis in Nigeria’s north-east is one of the most severe in the world today. I am extremely concerned that these actions could be detrimental to the critical work that is being carried out every day to support the most vulnerable in the region and I call upon the Government of Nigeria to provide clarification. Spokesperson for 7 Division of the Army, Lt. Col. Samuel Kingsley, said: “As part of ongoing counter insurgency operations, the Theatre Command Operation Lafiya Dole, has been conducting several clearance as well as cordon and search operations in urban and rural areas within the Theatre. The clearance operations effort has been yielding several successes. “In the last one week, cordon and search operations were conducted in Jiddari –Polo, Muna Garage, Jakana amongst several other areas. On August 10, 2017, Theatre Command received information from one of its credible sources that some high value BHT suspects had infiltrated into Pompomari Bye Pass. “It therefore became expedient to take preemptive action by combing the general area through a cordon and search operations. The operation was successfully conducted as over 30 houses were searched. “On the whole, operation in the general area was successfully concluded but no arrest was made because the suspects were not found. “The command wishes to assure the general public that these operations are being conducted to safeguard lives and properties but not targeted at any individual or group. The eight-year Boko Haram insurgency has driven at least two million people from their homes and almost seven million need humanitarian assistance. Tens of thousands live on the brink of famine and millions more lack secure access to food.